One of the most interesting things I read in the newspaper while in Delhi was the matrimonials in the Sunday Times of India. The section consisted of page after page of personal classifieds by families unapologetically seeking the perfect made to order husband or wife for children whose time has come to make a love connection. Some of the ads were very specific. They spelled out criteria of caste, looks, religion, region and education. Some ads were placed by families that spent a fortune sending children to the finest colleges and universities in India and abroad. On the market were Drs., MBAs, and Ph.Ds who studied in prestigious schools in the U.S.A. and U.K. and now were ready for a mate. Some families who were shopping for love were less particular. Caste no bar meant that a boy or girl would marry outside of the caste. In several ads families were requesting “homely” girls. “Why would anyone want a homely girl?” I asked. “In America a homely girl is plain and unattractive.” “No,” my friends informed me. “A homely girl is one who wants to stay at home. Not a career woman.” Do people really meet their soul mates through these ads or is it just families marrying other families, putting medieval rituals ahead of the happiness of their children? “It is a tradition,” a young man I met in Jodphur told me. “Those are for people who are desperate,” one of my colleagues said. A young army captain I met on a train told me how he found his wife escorting a friend’s sister home on a bus from the south of India. They fell in love and wanted to wed but her parents refused to have her marry a man in the military. Mind you this was a charming, intelligent, handsome man who wrote poetry, for goodness sakes. He decided to send her father letters every day to prove he was worthy. Dad finally brought the case before the entire extended family (and it was a very large one) and the council of in-laws gave their consent. Another couple I know went through alot of drama with parents as they tried to marry. He pursued her for many months and could not get her off his mind. She took a great deal of convincing and played very hard to get. At one point he told his parents it was over. When she popped up again in his life his parents refused to even consider her. They eventually married but I am told there was tension at the wedding and there still is a cloud over their union today, mostly because they broke tradition by moving into her families house after the marriage rather than moving into his families house. Parents have a say in this too, it seems. 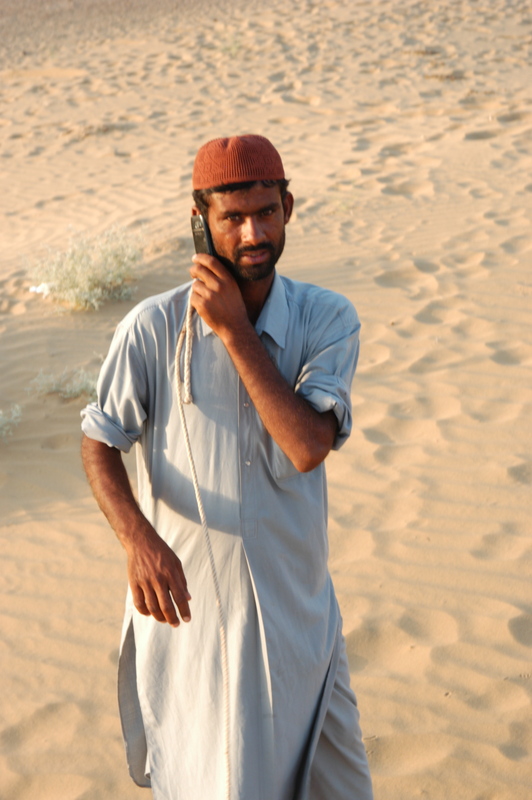 As we walked through the old city of Jaisalmer, a man I met told me about the love of his life who got away. She was a woman from California who was there for three years doing social work. They lived together and he wanted to marry her. His parents refused and when he honored their wishes, she left. That was six years ago and he has lost track of her now, but still longs for the relationship. He is unhappy in his arranged marriage. He says his wife is very selfish and treats his children badly. They are now separated. He asked me “Do you think I made a mistake, giving her up for my family, or should I have given up my family for her?” I told him I thought he would have had regrets either way. My Muslim rickshaw driver in Jaipur told me that he was dating a Hindu woman for a couple of years. They were having a great time and his family didn’t mind at all. But her family did so mom and dad forced them to break it off. He says he doesn’t care what faith someone is. All people are the same and as long as they treat each other well and make each other happy nothing else should matter, but obviously her parents did not agree. A colleague of mine has been dating a young man for six years and intends to marry him but her parents don’t even know him because they will not approve. When a family friend told her parents he noticed her with this boy at a bus stop a few years back they tightened the screws. Another colleague’s parents seldom let her out of the house alone after about 8:30 p.m. in the evening making it nearly impossible for this 19 year old to have a relationship. Western women would certainly never put up with all this meddling from parents, but the good news is even as fundamental traditions have stayed the same, the practice has evolved and women say arranged marriage can work. A young mother and IT professional I met on the train back from Jaipur to Delhi was telling me her marriage was arranged. Her parents placed an advertisement in the matrimonial section of the Times of India and that’s how she met her husband. But instead of being passive in the process she was highly involved and could have walked away from the arrangement at any time. Her husband could have walked away too. They didn’t, and after a brief courtship, she is now happily married and living with her husband and first born child in the United States. Arranged marriages are still the way most people hook up in India (even the Prince, grandson of the Maharajah of Jodphur, will have an arranged marriage when he weds.) Matrimonial websites like http://bharatmatrimony.com and http://shaadi.com are booming, but in this day and age, more young people are asserting themselves in their love life, especially those who are educated and don’t need to settle for less. If someone hasn’t already thought of this, I think a great idea for a Bollywood musical would be an Indian adaptation of “Fiddler on the Roof.” If you recall Reb Tevye had three daughters and as each one chose a husband they made choices that made their father progressively more uncomfortable. Each daughter followed her heart and Tevye had to adapt. I think that really sums up what’s going on in India today as many young people work around their parents or at the very least, alongside them to find partners. Of course, arranged marriages can turn out badly. If the wrong partners are found people can be miserable or abused. That happens when we self select our partners too. Still, choosing a spouse continues to be a family affair in India and for what it’s worth maybe having mom and dad involved can be helpful. Maybe working backwards, marriage then love, can be possible. Just look at the statistics. Although divorce is starting to be a bit more prevalent among the upper classes of India, on the list of countries with the highest rates of failed marriages (America is #1) India isn’t even on the radar. Categories: Children, Commonwealth Games, Human Rights, India, Inspiration, Media, Middle East, News, News and Views, Parenting, Random Thoughts, Religion, Social Networking, Technology, Travel, United States of America, Women | Tags: Abuse, Advertisement, America, Arranged Marriage, Bharat Matrimony, Bollywood, California, Caste, Classified Ad, Delhi, Divorce, Fiddler on the Roof, Hindu, India, Jaipur, Jaisalmer, Jodphur, Maharajah of Jodphur, Marriage, Muslim, Rajasthan, Reb Tevye, Sheedi, Times of India, UK, United Kingdom, United States, USA, Women | Permalink. My friend, Duncan, and I had wrapped up dinner at a restaurant in Varanasi, India and more than half the food was uneaten. We asked for a carry out bag, knowing in the back of our mind that we would probably never eat the food. While walking down towards the Ganges, we started to pass beggars, beaten down to the ground by years of poverty, and one by one we handed them little foil packages of leftover food. A man saw me place a bag in the hands of a blind man squatting on the street. “Good Karma,” he said. “Did you know this man is 100 years old?” At the waterfront we encountered another beggar. I handed him another small bag of food. A smile lit up his face. When I looked back at him he was fondling the gift of food as though it was Diwali. The reaction filled me much more than the dinner. We did not walk by and ignore him. Varanasi, India is the epicenter of karma, the do unto others, reap what you sow force that leads people to a better life, or at least, presumably, a better afterlife. When we arrived in Varanasi, the holy Hindu city where people come to die, our guide, Deep, told us that people arrive in Varanasi with their hands closed around their worldly possessions and leave with their hands open. The only thing they take on their journey to the afterlife is their karma. The rituals of life and death are out in the open here. People come at sunrise to the River Ganges to wash away their sins in her holy waters, and they come again when their time is over, to be cremated on her banks. Twenty four hours a day, seven days a week fires burn. Shrouded bodies are dipped in the Ganges and then the son or male relative of the deceased lights the fire that takes a loved one on their final way. The idea of karma is omnipresent in this central Indian city of five million. But karma only gets you so far in the here and now and to have a worthwhile existence people need money. With that in mind those in the old city of Varanasi have perfected the art of the hustle. It starts when you are just a child. 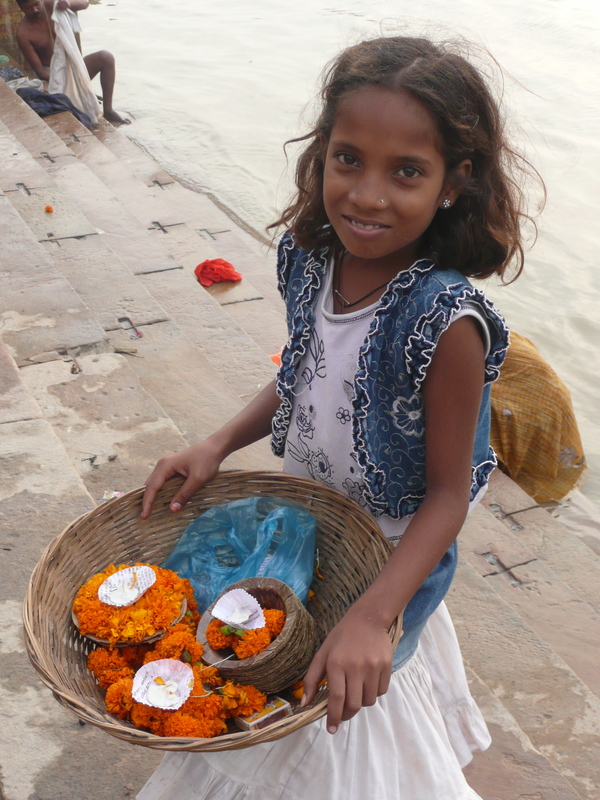 Pretty little girls between 8 and 12 implore you to buy their marigold flowered candles to put in the River Ganges, so your prayers will be carried down the river. They are relentless salesgirls with their pitch honed and refined from mothers and older sisters. Young male guides around 15 years old follow you through the teeming alleyways offering to take you to temples, reminding you not to trust anyone else but them. They are charming and sincere. They don’t want money, they want friendship. All this as you empty your pockets. Categories: Children, Global Poverty, Human Rights, India, Inspiration, Philanthropy, Poverty, Random Thoughts, Travel, Women | Tags: Ganesha, India, Karma, River Ganga, Shiva, Varanasi | Permalink. The other night my colleagues and I ordered pizza to be delivered to our workplace at the International Broadcast Centre during our shift at the Commonwealth Games in Delhi, India. There have been tons of issues with the catering here so we had food brought in. At the end of the evening there were still four untouched boxes of pizza that were cold and had been sitting around. We threw them out. On our way back to our hotels we walked past all the security personnel who would be on alert all night and regretted our decision to waste the food. With that in mind I was very gratified today to see what my colleague, Anu, did at a local shopping area. We were eating street food and she ordered something she could not finish. Instead of throwing it away, like we would do in the states, she handed her unfinished dish of lentils to a young boy who gobbled it up. In a country with so much poverty I found it inspiring to pass the food to a stranger rather than throw it in the bin. It was much more dignified for the lad to accept the kindness of Anu than to be hungry or beg or fish the food out of the trash. Anu said if she puts something on her plate she must finish it or she feels bad. If she can’t finish then she shares. It was a win-win for both Anu and the boy and food for thought for this visitor. 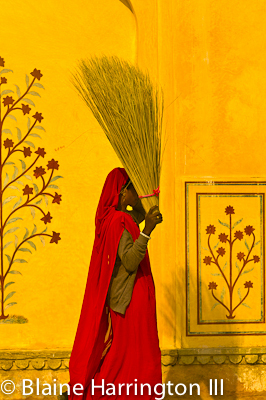 Categories: Children, Community Service, Food, Global Poverty, Human Rights, India, Inspiration, Media, News, News and Views, Parenting, Philanthropy, Poverty, Random Thoughts, Television, Travel, United States of America, Women | Tags: Commonwealth Games, Delhi, India, International Broadcast Center | Permalink.